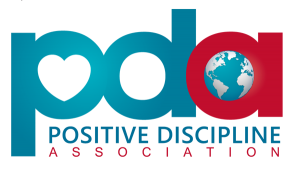 For many of us around the Austin Family Counseling office, “PD” is a commonly used acronym. Standing for Positive Discipline, we use this parenting model in our sessions with clients, in parent sessions, and in our own parenting lives. I was skeptical of the model at first – no punishment? no rewards? I asked myself, “How do you get your kids to do what you want?” At that moment, I realized I was asking the wrong question. A better question would have been, “How do I encourage my child to ___________ on his own?” You can fill in the blank with your specific hope, but the point is that we are questioning how to develop long-term skills in our children versus short-term obedience. I’m not sure about you, but I want my children to develop skills like independence, confidence, kindness, empathy, and responsibility. I want to be less concerned about my children trying to gain my approval and my desire to be “minded”, and more concerned about developing my children’s internal locus of control, believing that the events in their lives are caused by controllable factors such as their effort, preparation, and attitude. This inevitably translates into my work with clients, as I try to help them develop their own internal locus of control. Many of my clients are tweens and teens and I find that the Positive Discipline tool of using empowering statements instead of enabling statements helps to develop more long-term skills and the internal locus of control. Try this simple activity to understand how to empower your child. The first set of statements/questions are enabling and, if used regularly, develop an external locus of control. Children expect rewards for doing what’s required of them and they expect that you (the parent) will bail them out. They may also believe that they can’t do it on their own. The second set of questions/statements are empowering for teens and help develop a child’s internal locus of control. As the parent, you still offer some support to help problem-solve solutions, but you don’t fix it. For some, this may be a revolutionary approach, so vastly different from what is regularly tried, but I urge you to try using the more empowering statements and see the impact that it can make on you and your child. * Empowering/enabling statement taken from Positive Discipline by Jane Nelsen. Instead of New Year’s Resolutions, Try Intentions.